Trademark registration USA | How to register a trademark in the USA? A trademark registration in the USA is a bit different than in most other countries around the world and it is therefore important to know exactly how to register a trademark in the USA. 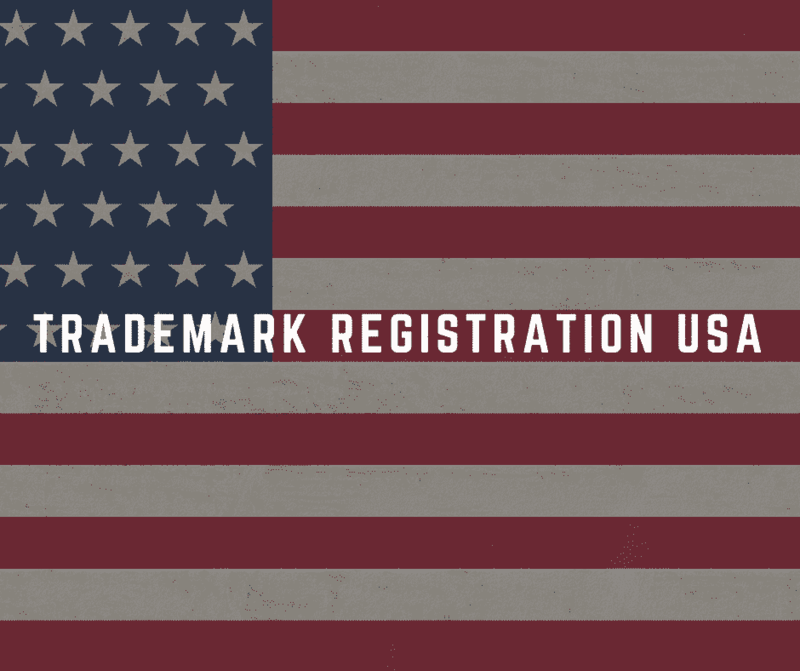 What does the trademark registration process in the usa look like? In the United States you actually have two trademark registers. These are the principal register and the supplemental register. The principal register is for inherently distinctive trademarks. After all, brands can become incontestable after five years. The supplemental register is for trademarks that can become distinctive due to the use of it. These trademarks are not incontestable. If a brand is not distinctive, you can opt for registration in the supplemental register. After five years, you can then register in the principal register based on this registration and use. The opposite is only possible in the principal register. If you have an entry in the supplemental register, you may also use the trademark symbol and you do not need intention to use. What are the costs of your trademark registration in the USA? What are the requirements for trademark registration in the USA? There is also the possibility to submit a collective brand. The same requirements apply as for the individual brand, plus the explanation of the relationship to the applicant and how the use will be monitored. However, it is important to note that a certification trademark may not be registered as an individual or collective mark. How do trademark registration laws work in the USA? American trademarks laws have a declarative system. This means that you are already entitled to the first use of a trademark in trade. This may seem like it makes a trademark registration unnecessary, but that is not true. A trademark registration is important, because it is necessary if you want to use your rights if, for example, there is an infringement. In most other countries there is an attributive system, where you do not get any rights through use, but you only receive this card when you register a trademark. When is there proper trademark use? In America, you must use a brand or sign for the intention to use for registration. This must of course also be assessed. To investigate whether a trademark is used properly, we use the ACID test. The use must also be inter-state. This means that use in one state is not enough. What can you register as a trademark in the USA? The United States is also offering more opportunities to register a trademark in the USA than other countries. For example, in addition to a word or logo, you can also register symbols, sounds, flavors, colors, packaging, product shapes or a combination of these types as a brand. What’s special is the possibility of registration of interior and exterior. For example, Apple stores are protected as trademarks. Recording motion as a brand is also possible in the US. Capturing names is more difficult. For example, only a last name can never be a brand and a first name and last name are only eligible for registration when the name giver is involved. Suppose it is John Doe and John is already deceased, then his company will encounter many difficulties in submitting this company name as a brand. What is the cheapest way to file a trademark in the US? In theory, registering yourself is the most advantageous way. The costs are between 225 and 275 dollars. The problem is that you can run into many problems, because the process in the US is extremely complicated and demanding. You quickly make mistakes without knowing it and then you lose your registration and your money. A registration can also provide liability if, for example, you fill in the MM18 form, but then don’t use it as a brand anyway. Another example is incorrect classification. Headgear, for example, is insufficient according to USPTO. This is more than just caps from class 25, because they can also be safety helmets from class 9. If you choose the cheapest way to file a trademark in the USA, then you should also know the consequences of signing the ‘intent to use statement’. If you fill in and sign this declaration, but do not use the trademark in that way, there is a chance that other companies will hold you liable on the grounds of bad faith. Incidentally, a trademark registration in the USA can still be refused when it is used. This happened with a registration for hemp and CBD oil. This did not occur in the description of the goods and the declaration with the intention to use, but came to light when use had to be demonstrated and therefore the brand was refused at that time. Which trademark registration service in the United States is required after registration? After 5 to 6 years you will have to deal with the section 8 declaration. This is the statement of use or excusable for non-use. After 10 years the combination of section 8 & section 9 plays. These are the statement of use or excusable non-use and renewal. As of 5 years you get acquainted with the section 15 declaration, namely incontestability.